Henly 2018 Passport Index (HPI) is global ranking of countries according to the travel freedom for their citizens it started in 2006. The HPI consists of a ranking of passport according to how many other territories can be reached ‘visa free‘. The strength of the passport is determined by the number of countries give free access on that basis the index is updated. Visa free entry means that entry is a formality but, Visa on arrival means that an immigration official at your arrival point is responsible for making the final decision as to whether or not you will be granted Visa and they could decide to deny you entry. Eg. Country like India where an Indian citizen wants to go Iran, Bhutan, Nepal these country official don’t ask you Visa that is called Visa free & in case of Visa on arrival a citizen of any country wants to go other country and that other country officials ask to that imigrant on his/her arrival that is called Visa on arrival. Here, Visa on arrival is risky because you have any documents problem etc situation then the official will give you Visa is not guaranteed & they can send you back to your country even if you go there for any work. Japan has overtaken to claim the world’s most powerful passport spot on the 2018 Henly passport Index, having gained visa-free access to Myanmar earlier this month. 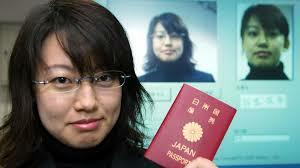 Japan now enjoys visa-free/visa-on-arrival access to 190 destination (country) compared to singapores total 189. Their are many factors behind 2018 passport Index his article such as geopolitical relation, bilateral relation, opinion of people, etc.